A compelling story of murder, betrayal, and the secrets of the past… Georgina, known as Geo, is a 30-year-old rising executive when her world comes crashing down. Her high school boyfriend has been identified and arrested for a series of serial murders, including Angela, Geo's best friend in high school. Angela disappeared without a trace at 16 and her body has just been found. Now Geo is under arrest for helping her then-boyfriend cover it up. And it's one of her other close friends from high school, Kaiser Brody, who arrests her. While Geo is sent to prison for her part, Calvin escapes from custody and is on the run. Geo, now thirty-five, is about to be released from prison to try and start over. But someone has started killing people and dumping their bodies in her old neighborhood, with some of the markers of the missing Sweetbay Strangler—her old boyfriend Calvin. Is these killings some kind of message from Calvin? Are they some of revenge? Is she herself now in danger? Everything turns on what really happened that tragic night back when Geo and Angela were high schoolers. Everyone thinks they know the truth, but there are dark secrets buried deep within other secrets, and it may be too late for anyone to survive the truth. Jar of Hearts is a compelling edge-of-your-seat thriller that grabs readers from the very beginning and holds them rapt, as the truth of both the past and the present is skillfully unfolded, until the very last page. 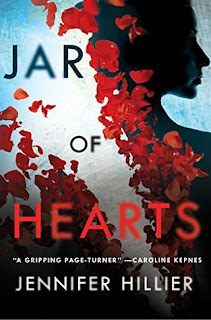 Jennifer Hillier is a new author to me, Jar of Hearts releases next week and already its garnered a huge amount of 4/5 star ratings. In terms of anticipation I can see that, I was flipping the pages in my kindle to see what would happen next, trying to figure it out myself. I knew there were twists and turns coming and I was genuinely curious about the outcome. But there were just a few things that bogged me down and the thing is I really cann't say anything more for fear of spoiling someone else's ride. These are things not mentioned in the synopsis but if you are really interested check out this review on Goodreads where I can hide behind the spoiler button. Having said that I enjoyed how the author went back and forth in time, it was smooth and each tidbit of the past only heightened my curiosity. I found it hard at times to connect with the characters, I just didn’t feel the emotional side of them or understand some of their actions. 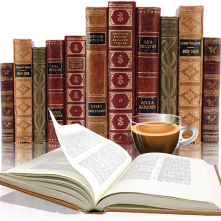 Jar of Hearts is a book of secrets, heartache and survival. While it wasn't perfect I would still recommend it to those that like a good mystery. My thanks to the publisher (via Netgalley) for an advance copy.